Quilt the Easy Way with my top tips for pre-cuts. Afraid your quilting skills are basic but want to make a quilt that looks good? Follow these tips for simple quilting ideas that anyone can do. 1. Pre-cuts provide ready-cut fabrics that anyone can use. One of the obvious mistakes beginners make is to not cut fabric accurately. In fact some quilters never master cutting fabrics. Sometimes even pre-cuts can vary but they are relatively accurate. 2. Use a good quality wadding. Some wadding can show through when stitching. 3. Use the same type of fabric throughout the quilt. What can you make with pre-cuts? Strip quilts are a favourite. They are not just easy but also quick to do. Simply cut your jelly roll (fabric cut into strips) to the required length for your project. 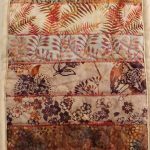 Depending on the size of the quilt you are making, measure across, allow for the seam allowances and borders and start joining strips. You can join the strips vertically, horizontally or even diagonally. Just make sure you alternate which end you start joining another strip, otherwise the strips have a tendency to start going out of shape. You can use strips as they are. You can slice the strips once sown together into smaller pieces. You can also make blocks. They are very versatile. 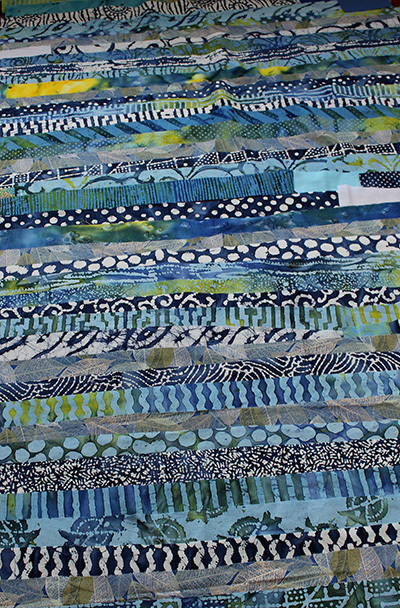 You can also add more fabrics if you think the jelly roll does not have enough contrast. If you are confident at cutting, you can buy a special strip ruler to cut strips of an equal width. 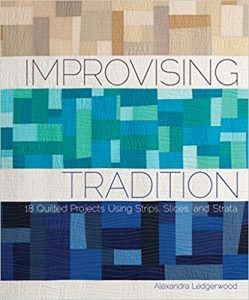 There are many book available for strip or jelly roll quilting. 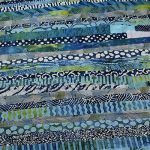 Strip quilts are great for beginners since they will give you the confidence you need. 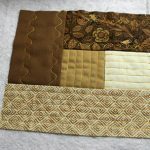 If you have joined your strips horizontally, try quilting the sandwich diagonally to add variety. Mark your quilt from corner to corner, then quilt at regular intervals. 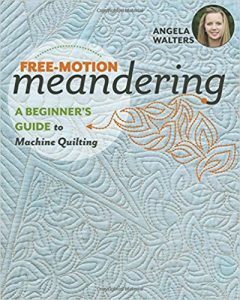 Or go for free-motion quilting if you can. Circles make a good contrast to the lines of the strip quilt. 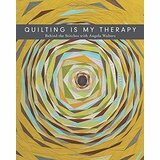 Angela’s name has become synonymous with free-motion machine quilting. Find the basics about machine quilting and the tools that make it easier. Start with simple meandering and build your skills with every exercise or pattern. Master and practice – that is the key. This book provides you with all you need to know and learn the craft. Free-motion is a craft that needs (for most of us at least) hours of practice. 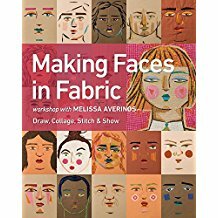 This book is like a quilting course, it provides the challenge you need to keep practising and keep going. Colourful samples and line drawings with quilting directional arrows help you finish each square. Gosh this girl is he mean in meander – you’ve got swirly ons, paisley, feather and many other designs plus design tips. Brilliant. 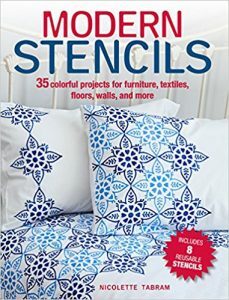 Modern Stencils by Nicolette Tabram, softback published by Cico Books. 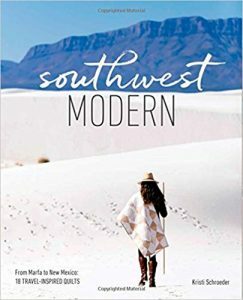 ISBN 9781782495499, price 12.99. Fresh-looking, inspired designs that can transform your home. 8 re-usable stencils, including paisley and floral designs enable even beginners at stencilling to produce professional-looking results. There are 35 projects for textiles, furniture, floors and walls to make your house a home. 11 projects concentrate on textiles, such as stencilling bags, tea towels, napkins, cushions, curtains, a jacket or apron and more. You could stencil your own fabric. 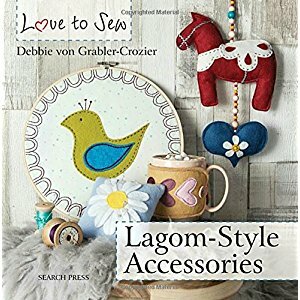 Learn all about this craft – tools, basic techniques and inspiration. Instructions are easy to follow and the photographs are excellent. 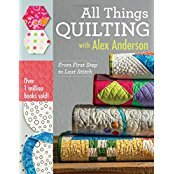 Where do you start with quilting? 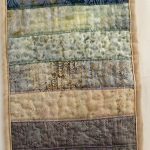 If it all looks so difficult and you are having difficulty getting started in quilting, there is help at hand. 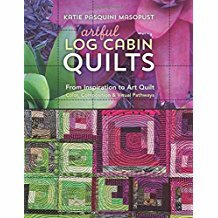 For years I would stare at quilting books and magazines totally bewildered. Quilts can look so complicated. Most of them are not. The trick is to break them down into bite-sized pieces. Even better there are foolproof ways to quilt for beginners. It is important to recognise your sewing skills and to work on something you can finish. 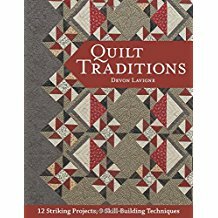 Build your sewing and quilting skills and improve as you learn. Concentrate on your strengths. 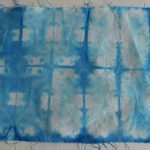 If you are confident with one aspect of quilting – make that shine. Get one quilt finished and you’ll be hooked. 1. 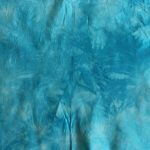 Work with plain fabrics if you find it easier to begin with Kona have a wonderful range of plain fabrics. I know I would love to have a fat quarter or more of every one. 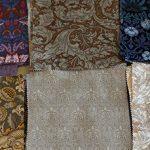 There are plenty of outlets in the U.K. for these fabrics and new colours are introduced regularly. 2. Introduce pattern with easy-to-use pre-cuts. 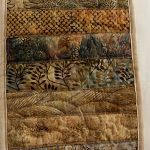 You have lots of choice from strips to squares and if you are not so hot on cutting, this is a good way to start that first quilt. 3. Keep the design and colour choice simple at first. 4. 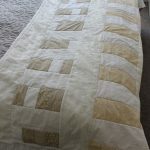 Decide whether the design or the quilting is most important. This will depend on your own individual skills. Consider taking the design course. 5. 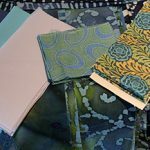 Look for simple ways to cut your fabrics that have a magic complicated effect. 6. Work on small projects that you can finish in a day or a weekend. 7. Try quilt as you go – it’s an easier way to complete a quilt. There is a tutorial coming up soon. 8. 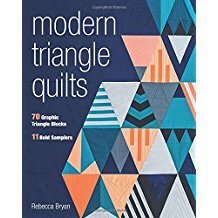 Short of time but still want to quilt? Try number 7 or try hand quilting that can be done in short bursts like EPP. See our guide to different types of quilting. 9. 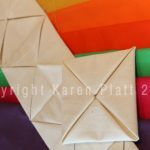 Build your skills – once you can piece in straight strips or squares, try dividing the squares and piecing triangles. 10. If piecing is not your thing, try a multi- coloured background and applique. 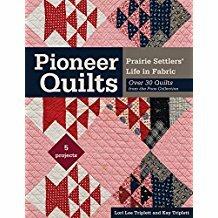 Beginners’ quilting? Where do you start? 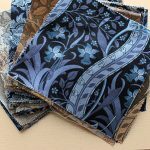 What basic equipment do you need?Quilting is an ancient craft that can be created by hand or machine. With hand sewing it can be as simple as fabric, needle and thread. 2. Whether hand or machine, choose good sewing needles appropriate to your fabric. Hand quilting needles are tiny and take some getting used to. 3. 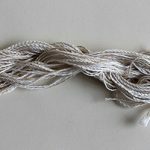 I would choose cotton thread over polyester in a suitable weight for your project. Opt for hand quilting thread if you are hand quilting. 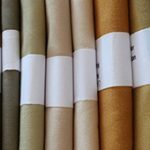 For embellishing your quilt, we have a range of undyed threads in cotton, wool, linen and silk. 4. Wadding – small projects can use felt but it is usual to choose a special batting or wadding. I do like the cotton wadding. 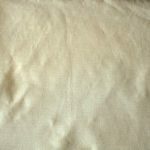 There is a wide range of natural and synthetic wadding available. It is mainly a matter of choice. For bed quilts, choose the best you can afford. 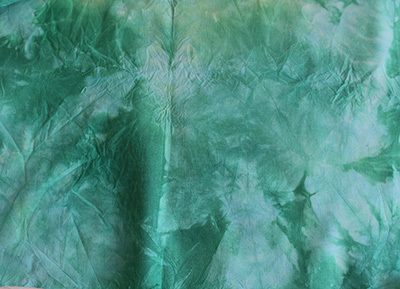 For wall hangings, many people opt for polyester. 5. Scissors – the best you can afford that are kept ONLY for cutting fabric. 6. Pins – you will most likely need more than one type. Long straight pins are useful for piecing. Curved safety pins are useful for basting the quilt layers. 7. Cutting requires either good scissors, but to be more accurate (and you know that is the byword of all quilting) you will need a rotary cutter. Feeling flush? Invest in an Accuquilt cutter or similar. 8. Cutting also requires rulers. Use a quilt ruler to cut accurately along with a cutting board. 9. Markers – I use a Hera marker. 10. Templates – make your own or buy. Mylar sheets are a good choice. 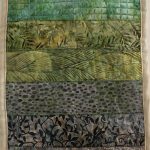 Check out the guide for types of quilting.